Home: Produced by Hucknall, Lewinson & Lewinson. Mixed by Johnny Wow. Assistant mix engineer John Lee. Recording Engineer Michael Zimmerling assisted by Andy Scade. Recorded at PFL Studios, London. Fake: Produced by Hucknall & Gota Yashiki. Additional production by Matt Rowe for Ebblingstar Ltd. Mixed by Steve Fitzmaurice. Assistant mix engineer John Lee. Recording Engineer Michael Zimmerling assisted by Andy Scade. Recorded at home. Sunrise: Produced and Mixed by Andy Wright for SSO, MadKap & Mark Jolly. Recorded at Metropolis Studios, London. Original version produced by Hucknall and Gota Yashiki. You Make Me Feel Brand New: Produced by Stewart Levine for W.O.W. Productions Ltd. Additional Production by Hucknall & Gota Yashiki. Mixed by Johnny Wow. Assistant mix engineer John Lee. Recording Engineer: Rick Pekkonen. Recorded at Ocean Way Studios, LA. Home Loan Blues: Produced by Hucknall & Gota Yashiki. Mixed by Johnny Wow. Assistant mix engineer John Lee. Recording Engineer Michael Zimmerling assisted by Andy Scade. Recorded at home. Positively 4th Street: Produced by Hucknall & Gota Yashiki. Mixed by Johnny Wow. Assistant mix engineer John Lee. Recording Engineer Michael Zimmerling assisted by Andy Scade. Recorded at home. Lost Weekend: Produced by Hucknall & Gota Yashiki. Mixed by Johnny Wow. Assistant mix engineer John Lee. Recording Engineer Michael Zimmerling assisted by Andy Scade. Recorded at home. Money In My Pocket (Plan B Mix): Produced by AGM (Andy Wright, Gota Yashiki & Mick Hucknall). Mixed by Andy Wright for SSO. Recording Engineer Michael Zimmerling assisted by Andy Scade. Recorded at home. Something For You: Produced by Stewart Levine for W.O.W. Productions Ltd. Additional Production by Hucknall & Gota Yashiki. Assistant mix engineer John Lee. Recording Engineer: Rick Pekkonen. Recorded at Ocean Way Studios, LA. It’s You: Produced by Hucknall & Gota Yashiki. Mixed by Johnny Wow. Assistant mix engineer John Lee. Recorded at home. 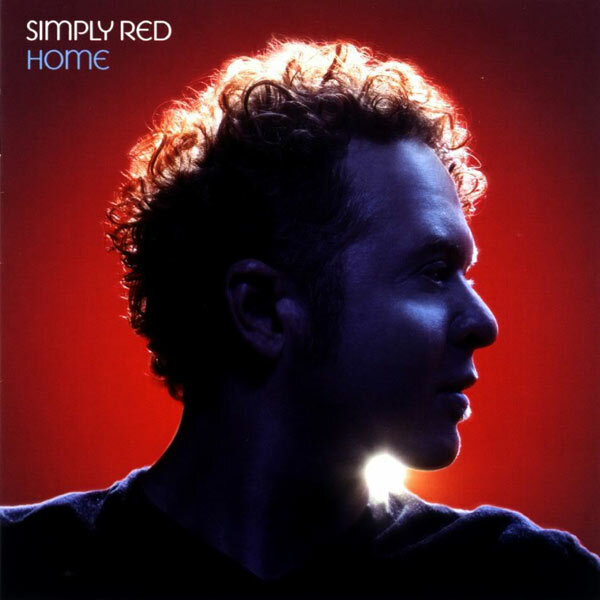 Home (Reprise): Produced by Hucknall & Gota Yashiki. Recording Engineer Michael Zimmerling assisted by Andy Scade. Recorded at home. Musicians: Andy Wright, Anthea Clarke, Arthur Adams, Bernie Worrell, Chris de Margary, Danny Saxon, Dave Clayton, Dean Parks, Dee Johnson, Freddie Washington, Gota Yashiki, Ian Kirkham, James Gadson, Joe Sample, John Johnson, Karl Vanden Bossche, Kenji Suzuki, Kevin Robinson, Larry Williams, Lennie Castro, London Session Orchestra, Mark Jaimes, Mick Hucknall, Miles Bould, Paul ‘Harry’ Harris, Pete Lewinson, Sarah Brown & Steve Lewinson. Sunrise contains extracts from ‘I Can’t Go For That (No Can Do)’ written by Daryl Hall, John Oates & Sara Allen. Published by Unichappell Music Inc/HotCha Music Co/Fust Buzza Music/Geomantic Music/Irving Music Inc. All rights on behalf of HotCha Music Co. administered by Unichappell Music Inc. Used by permission. All rights reserved. Worldwide representation: Andy Dodd & Ian Grenfell at Silentway Management Ltd, assisted by Andrea Mills. In association with Lisa Barbaris at So What Media & Management Inc, New York. Art direction & design by Peacock www.peacockdesign.com. All photography by Rick Guest except band photograph by Andy Earle, pages 4 & 5 photography by Gusto/Hugh Turvey.